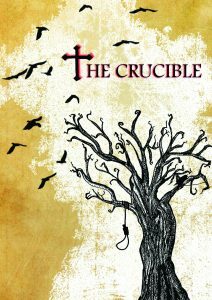 IN TODAY’S world of the social media witch-hunt, Arthur Miller’s 1953 play The Crucible is as relevant as ever. It tells how the people of 17th century Salem are whipped into a bloodthirsty frenzy by a series of escalating misinterpretations after a group of teenage girls are accused of dancing devilishly in the woods. The Yvonne Arnaud Youth Theatre: Interval will bring The Crucible to the Mill Studio at Guildford’s Yvonne Arnaud Theatre from Thursday to Saturday, April 26 to 28.